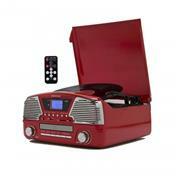 This sharp looking all in one stereo with Turntable is a great addition to any room. with 3 speed turntable, you can listen to your favorite vinyl. 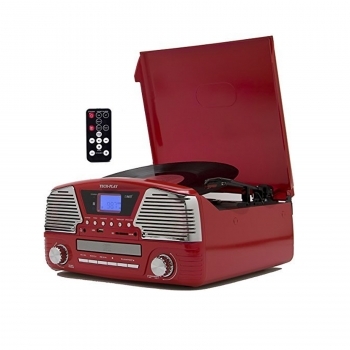 Programmable MP3 CD player also on board. capable of recording on your tunes on SD or through USB from your CD, Radio or turntable. Full function remote control is also included. You can also connect your other source through the AUX IN located in front of the unit,. With headphone jack. 45RPM adapter is also included. Powered by 110/220V 50/60 Hz UL listed power adapter.